earlier this year I traveled to Memphis, Tennessee to tour the manufacturing facilities of Delta and Brizo Faucets… It was a trip I had no expectations of, as I knew very little of the city. You can read about the pristine manufacturing plant here, from my past blog post “Poka-yoke: Striving for perfection!” This isn’t about Brizo though, this is about the city of Memphis itself. I wanted to be inspired and moved by visiting the city that birthed Rock and Roll, and is known for World-Class barbeque, but I was moved in a different way. This once bustling and thriving city, second largest in Tennessee should be packed with tourists, and industry, celebrating the rich culture it’s bestowed upon the world of music and arts, not to mention the significance in Civil Rights history… But Memphis was not that. It was a vacant, deserted town. Others I traveled there with equated it to something of a Zombie Apocalypse wasteland. Streets were empty, there was no “rush hour” with people heading to and from work, there was nothing. Why? !… Elvis even called this town home! 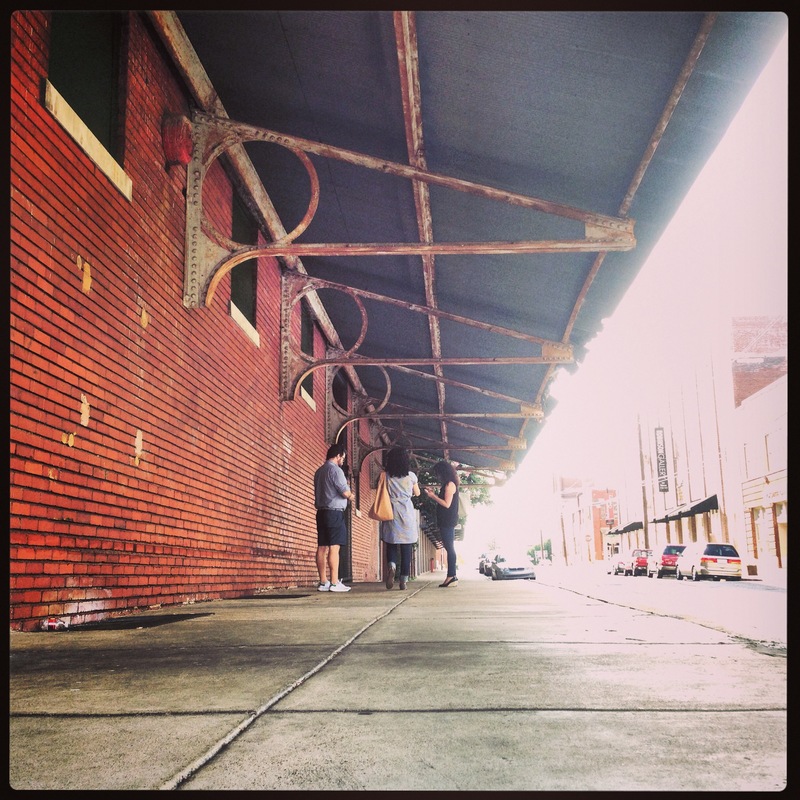 Walking through what was considered the Arts District, you could envision what was… Gorgeous old factories, the trolley cars still run through town, ringing those distinctive bells, but they were passing abandoned building, not quaint galleries and artisan shops as one might figure. I’m not sure what this post is honestly about other than a wish for Memphis to be more than what it currently is… You know that there is a sparkle and vibrancy there, it’s just been oppressed for so many years. There is sign of life happening, and old buildings are being taken over and turning into residential lofts, but it is slow going. This has the makings of such a phenomenal place, set along the Mighty Mississippi. There are little patches of greatness traveling around. The food is phenomenal… There is nothing like authentic Memphis BBQ, or perfection found in the simplest of dishes, like Fried Chicken. I stopped off in Gus’s the day of my departure, and so delish! A forged nail, something used to build this city… This simple spike made it through the years, as a reminder of what was… This is my Memphis. I hope whenever the day is that I return, Memphis will have found the strength to pull itself up and once again become that cool city it knows it can be!